Walking with Jesus: Day 199: John 20:19-23 & Psalms 92-93 - When and Why Did the Disciples Receive the Holy Spirit? Day 199: John 20:19-23 & Psalms 92-93 - When and Why Did the Disciples Receive the Holy Spirit? When and Why Did the Disciples Receive the Holy Spirit? Today's passage brings us to one of the most wonderful and confusing sections of John's Gospel. Here Jesus appears to His disciples after the resurrection and commissions them to go out into the world, saying, "As the Father has sent me, even so I am sending you." Then, He breathes on them and says, "Receive the Holy Spirit." 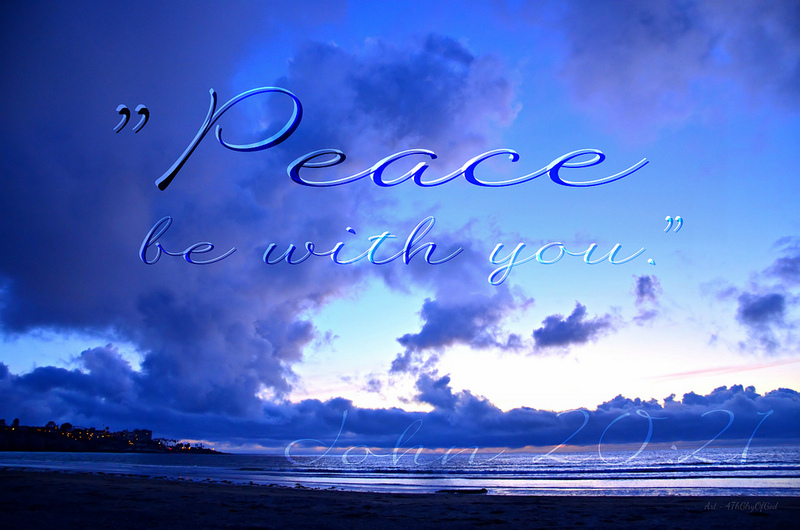 What's wonderful here is the two times Jesus says to His disciples, "Peace be with you" and the simple and yet powerful way He commissions them. They are sent out by Jesus just as the Father sent Jesus. So the commission Jesus gives His people is the same as the commission God the Father gave Him: Speak the truth, Show love. Demonstrate the power of the kingdom. Glorify God. Love people. What's confusing here is why Jesus breathes on them and says, "Receive the Holy Spirit." It's confusing because we know that the Holy Spirit is poured out on the disciples at Pentecost, approximately seven weeks later. So, we're left to ask: Did the disciples receive the Holy Spirit when Jesus breathed on them or at Pentecost? It seems like Jesus' actions here in the Upper Room are more of a sign and promise than the actual full gift of the Holy Spirit. I say this because the disciples don't immediately manifest any evidence of the new power of the Holy Spirit. They don't go out and preach the Gospel or speak in tongues not do they prophesy. In other words, the signs so clearly evident at Pentecost are not seen here. So it seems best to see this action by Jesus as a sign and a promise. That's not to say that the disciples were completely without the influence of the Holy Spirit, only that they had not yet received the full empowering of His indwelling presence and anointing as apostles. The other confusing verse in today's passage in verse 23, "If you forgive the sins of any, they are forgiven them; if you withhold forgiveness from any, it is withheld." Was Jesus really giving the apostles the authority to forgive or refuse to forgive anyone's sins? Well, did they ever exercise such direct authority? No. The evidence is that the apostles took this charge as authority to preach and minister the Gospel, which is the way people's sins are forgiven. "God only can forgive sins. Christ, being God, has a power to do so likewise; but he never communicated any such power to his apostles; nor did they ever assume any such power to themselves, or pretend to exercise it; it is the mark of antichrist, to attempt anything of the kind; who, in so doing, usurps the divine prerogative, places himself in his seat, and shows himself as if he was God: but this is to be understood only in a doctrinal, or ministerial way, by preaching the full and free remission of sins, through the blood of Christ, according to the riches of God's grace, to such as repent of their sins, and believe in Christ." This verse does highlight the high value and sacred responsibility of Gospel ministry. Preaching and ministering the Gospel is nothing to be done or taken lightly. It is nothing less than the exercise of the keys of the kingdom and the opportunity for eternal salvation for all who believe. When we withhold the Gospel from someone out of fear or pride or hatred, we are shutting the door of the kingdom of God, the doorway to eternal life, in their faces. May we never do such a thing! Notice that John connects the promise of the Holy Spirit to two main things: Peace and Gospel mission. The Holy Spirit comes to every believer, bringing us peace with God and sending us out to take the Gospel to a world in need. The Holy Spirit brings peace and empowerment for Gospel ministry. May we seek His presence and power always for these goals and never try to make our own peace or minister in our own power. You have poured over the anointing of Your Holy Spirit. my ears have heard the doom of my evil assailants, defeated by my Lord's death and resurrection. You are my rock, and there is no unrighteousness in You. You are robed; You have put on strength as Your belt. You, O Lord on high, are mighty indeed! so make me holy in heart and life, as befits Your Temple. so make us holy and fill us with Your purifying presence.